Do you remember all those rumors about Amazon opening a bookstore in Seattle in 2012? They rumors all turned out to be bogus, but now it looks like life may be imitating art. Shelf Awareness has found credible evidence to suggest that Amazon is going to open a bookstore in an upscale Seattle-area shopping center. 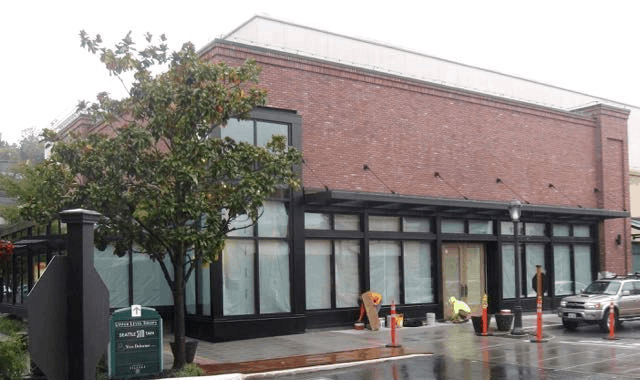 Now Shelf Awareness has learned that work is underway on a newly vacant spot in U-Village formerly occupied by Blue C Sushi, a storefront that, according to city work permits, will be occupied by a retailer named "Ann Bookstore." A source who works at U-Village said that the management has been unusually secretive about the new tenant and that it's rumored the site will house a bookstore. A management office employee who was asked when the Amazon bookstore would open said only that she didn't know the date. Also, the most likely local indie candidates to open such a store--University Book Store, Elliott Bay Book Company and Third Place Books--have all said they are not opening a store in U-Village. In addition, Shelf Awareness has learned that the online retailer has approached booksellers at independent stores in the Seattle area and conducted interviews but didn't tell much about the jobs it was seeking to fill. (All potential hires signed very restrictive nondisclosure agreements.) Amazon has recruited at least one relatively new bookseller for the "new initiative." The job pays $18 an hour, well above the typical pay scale for an entry-level bookseller. Amazon has also interviewed more experienced booksellers. Update: New details have emerged on the Seattle store, and a store in Cincinnati. I'm still looking at the story, but I can add that the location described is at 4601 26th Ave NE in Seattle, Wash. You can find the old location on Google Maps, or you can look on the mall's map for Blue C Sushi's new location. With Blue C Sushi planning to reopen in another part of University Village (according to reports elsewhere and the mall's map), the old storefront would appear to be empty at this time. So is this story real? Well, I can find a business license for Blue C that shows they're still in that location. And I can find business licenses for a bunch of stores on that street. But I can't find a new business license for that particular storefront. And there is no Seattle business license for a company named "Ann Bookstore". So at this point I don't have evidence either way. If this story is true then it would a major change for Amazon. It would be their first true retail operation. Up til now Amazon has only operated pop up stores as well as a handful of unstores on college campuses (see Purdue University for an example). The latter are less stores which sell stuff than they are a variation on UPS stores where Amazon customers can drop off and pickup their Amazon packages, and get CS issues resolved. This could be Amazon's first retail operation, but I doubt it. If this is an Amazon store then the odds are good that this will be another unstore rather than the bookstore that the name suggests. They left in 2011, I think. I can’t help but notice that “Ann Bookstore” sounds a lot like “un-bookstore”.